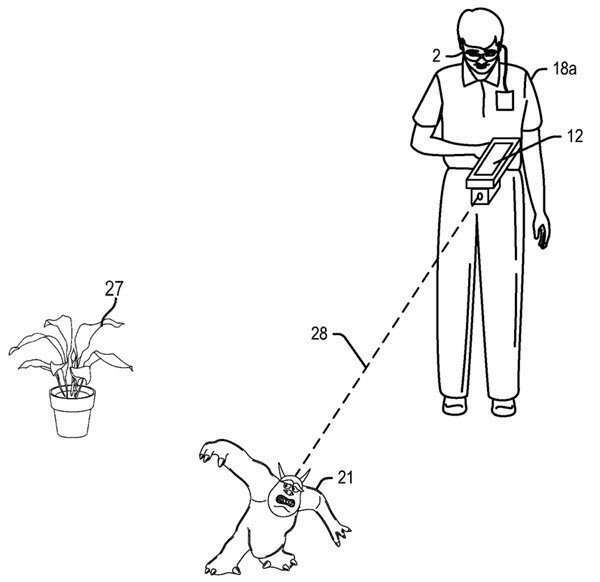 I’ve written about some of the patents involved in Google’s Project Glass in the past, and very recently about the Google Ventures’ funded Magic Leap. Project Glass still exists, but it appears to now have new leadership and a new direction. And then seemingly out of nowhere Microsoft announces a pair of goggles that they’ve been developing secretly, named the Hololens. And they’ve been feeding news sources some interesting information about them, like the article at Wired titled, “Project HoloLens: Our Exclusive Hands-On With Microsoftâ€™s Holographic Goggles“. So the Hololens is an exercise program that you can easily carry around with you, and lets you exercise with people whom aren’t really there. A mixed reality accommodation system and related methods are provided. In one example, a head-mounted display device includes a plurality of sensors and a display system for presenting holographic objects. A mixed reality safety program is configured to receive a holographic object and associated content provider ID from a source. The program assigns a trust level to the object based on the content provider ID. If the trust level is less than a threshold, the object is displayed according to a first set of safety rules that provide a protective level of display restrictions. If the trust level is greater than or equal to the threshold, the object is displayed according to a second set of safety rules that provide a permissive level of display restrictions that are less than the protective level of display restrictions. Some of that trust level language reminds me of what we would hear coming from our TVs when bad things would happen on the holodeck in Star Trek. 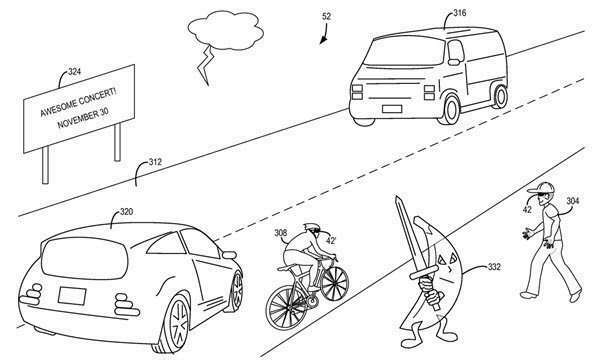 I enjoyed some of the odd patent images from these patents too, which I found to be much better than simple flow charts. Grabbing a real world object while wearing the glasses may make it appear to have transformed into something else. The head mounted display device is able to create a three-dimensional map of the surroundings within which virtual and real objects may be seen. Users are able to interact with virtual objects by selecting them, for example by looking at virtual object. Once selected, a user may thereafter manipulate or move the virtual object, for example by grabbing and moving it or performing some other predefined gesture with respect to the object. Taking a walk with these glasses on might lead to some surprises. Large amounts of virtual reality information may be available for presentation to a user. Some of this information may be associated with a particular location that may be within view of the user. With so much virtual reality information available, managing the presentation of this information to a user, and the user’s interaction with such information, can prove challenging. There were a number of other Microsoft patents that looked clearly like they were related as well, including some that seemed very useful, like one on a Wearable food nutrition feedback system. Rather than give those away here, I’m interested in seeing how Microsoft might introduce those features to potential buyers of the glasses. The claimed subject matter relates to an architecture that can enhance an experience associated with indicia related to a local environment. In particular, the architecture can receive an image that depicts a view of the local environment including a set of entities represented in the image. One or more of the entities can be matched or correlated to modeled entities included in a geospatial model of the environment, potentially based upon location and direction, in order to scope or frame the view depicted in the image to a modeled view. In addition, the architecture can select additional content that can be presented. The additional content typically relates to services or data associated with modeled entities included in the geospatial model or associated with modeled entities included in an image-based data store. 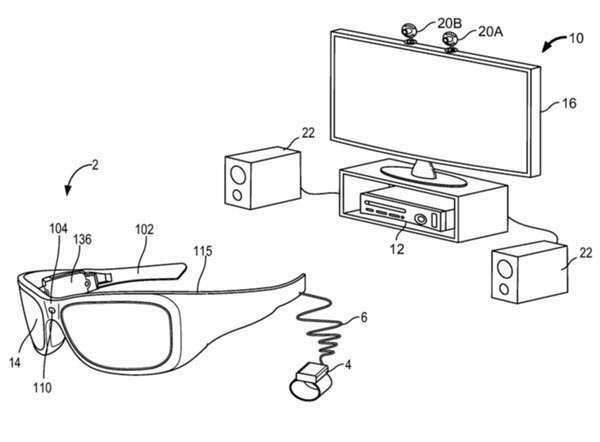 This patent refers to the possibility that some of the augmented reality presented to a viewer using the goggles might be based upon an advertising model that advertisers would be able to bid upon. I can’t remember any ads on the Star Trek Holodeck, or even hinted at in Project Glass, or what we’ve seen so far of Magic Leap. And we might not through the Hololens Glasses either. But the possibility of being presented with ads does exist. So Microsoft has also joined the fray! It would be interesting to work out with virtual exercise partners. Complete application and usefulness of this device would be interesting. You have written a fantastic hands on review on Microsoft holodeck look hololens patents. I must say Microsoft is trying to grab the Hardware business as like Google and trying to make us amazed. Let’s see if this become success or fail like Google Glass. 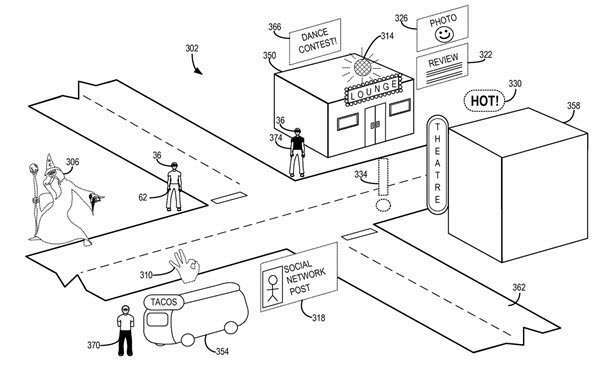 The patent is assigned to Microsoft, even though Alex Kipman is not listed on it as an inventor. In many cases, inventors will assign the patents they are granted to the company that they are working for at the time those are worked upon. I guess we won’t know that Microsoft is selling advertising in Hololens augmented reality until we see that advertising offered. I’m beyond excited for augmented reality advertising. The possibilities for a local smb are off the charts, especially for retail. Looking forward to watching this unfold. Bill, I didn’t click through the patent, but do you know who holds that if Alex Kipman doesn’t? The possibilities for a local smb are off the charts, especially for retail.I must say Microsoft is trying to grab the Hardware business as like Google and trying to make us amazed. You are right. I am agree with you.Letâ€™s see if this become success or fail like Google Glass. Although Microsoft hasn’t been out of the game, it would be great to see them get back up a little higher. Maybe even actually be competition for Google. I may even enjoy working out now, without getting bored after two minutes. The idea of working out with virtual exercise partners almost seems a bit absurd at first, but on more thought it seems like it could be pretty cool. Great read Bill. I hope this becomes a success and doesn’t fall before it has a chance to fly. It could be quite interesting! Thanks, Matt. I’ve been reading some great review of the hololens, so Microsoft might have themselves a hit on their hands. hi,i’m so happy to reading this post. I hope this becomes a success and doesnâ€™t fall before it has a chance to fly. It could be quite interesting! I’m so excited for VR and AR to be a reality. I still remember my first pair of Jurassic park VR goggles. It was basically just a mono 512×512 screen shown through a mirror mounted on your head and controlled with a conventional controller, but at the time, I thought it was the shiz. I think the development of augmented reality and virtual reality technology is creating and integrating a new layer of data that is seamlessly applied to our existing world. A lot of people talk about the “internet of things” where all of our devices, appliances, and real-world tangibles have digital counterparts that are accessible through AR and VR devices. This phenomenon of augmented and virtual reality is reminiscent of an anime I watched called “Denno Coil,” that takes place in a future where AR goggles are ubiquitous and have had a massive impact on the way people live their lives. In this world, everyone wears AR goggles and every part of our tactile reality has a digital counterpart that is laid over the top of it. In the anime, hacking the digital representations of physical objects became a legitimate issue, with AR hackers being able to manipulate these digital versions of real world items, it created mass confusion among the populace who depended on data from their AR goggles. Eventually, the lines between digital AR and tangible reality become blurred because of the immersive experience of AR, leading into the main conflict of the series. I am intrigued to see how humans adapt to AR and VR technology and whether or not it will parallel this scenario.